Brewed at 75C, steeped for four minutes, no additives. First impressions: it smells toasted. A kind of not-sweet nutty aroma. It tastes savoury, and delicate, and very slightly bitter. There's a hint of the vaguely fishy smell and taste that I've encountered in Japanese green teas, but it's only barely there. It reminds me a little of gen maicha, but it's much less aggressive, and much more interesting. With the low brewing temperature, however, I don't have a lot of time to savour it, not in this climate. The first cup went down fast, that's for sure. The second brew has a much stronger fishy aroma, and the toasted aroma is hiding somewhere. This follows through to the taste, although it's still quite subtle. The bitterness is also slightly more pronounced. 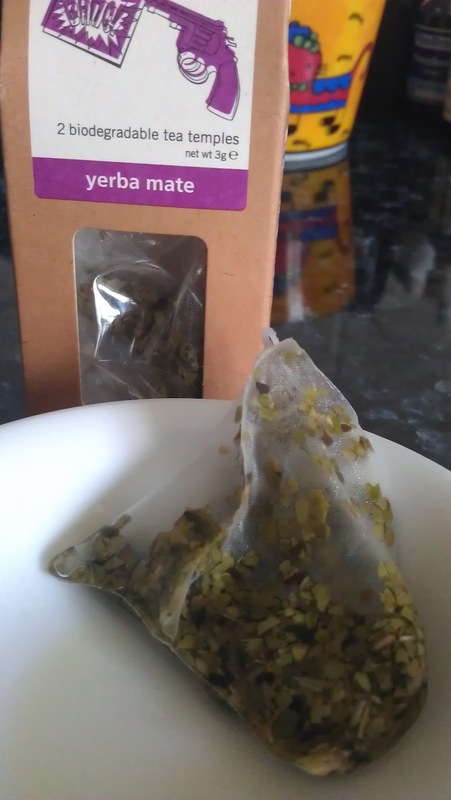 Yerba Mate, so the internet tells me, has quite a lot of vitamins and minerals for a tea. It's also supposed to be awesome for weight loss and similar endeavours. As health supplements go, it's pretty tasty. The verdict on this one is that I'm going to give it another go when I don't have a cold - it's quite possible I'm not tasting or smelling it fully. 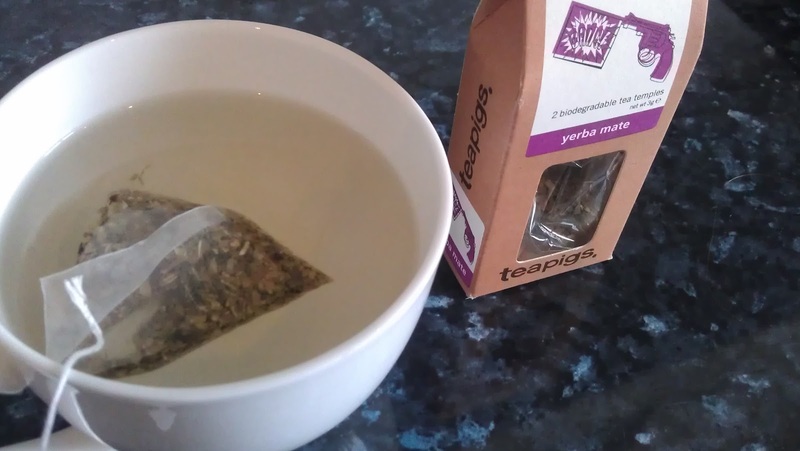 Initially, however, this is quite a nice tea. It's not flashy or showy; it's not floral like green jasmine or sweet like white tea. It is actually kind of a tease, as teas go. Still, my first impression of a delicate savoury tea is still sticking with me. 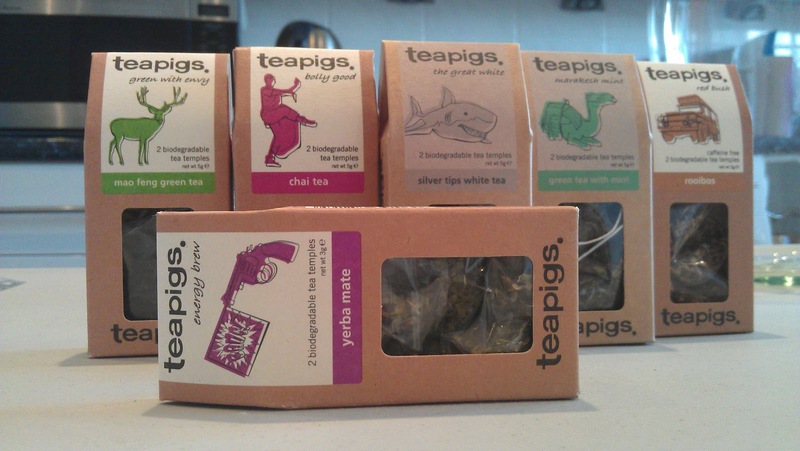 Teapigs is a UK company that does fine teas. They have whole-leaf teas, and their teabags are biodegradable temples of something that looks like muslin rather than paper. I've been drinking their Ting Tung Oolong, Jasmine Pearls, Tummy Tonic (peppermint) and Lazy Day (Chamomile Flower) teas, and getting their Everyday Brew (plain black) blend for the dearly beloved. I decided to order a sample pack of some of their teas, and it arrived today. So expect maybe a few more of these! 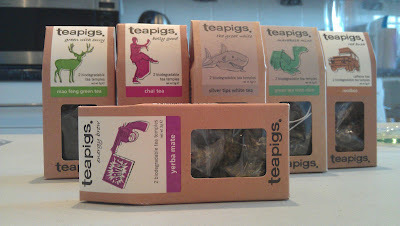 Note: I'm not a representative of Teapigs, just a happy customer. I heat them via the classical English style of tea light holders. Tastes great for Civet tea, which I find exotic.